A crowdfunding campaign to finish a film about South India’s first female taxi driver, has surpassed its $40,000 Candian dollars goals and is on its way to its first stretch goal of $50,000. With supporters in India, Canada and the United States, Driving with Selvi backers include several Canadian organizations, USAID and Thomson Reuters. Along with promises to share the film with tens of thousands of people, the campaign may have succeeded because of a diverse group of supporters and some nice rewards for donations. Among some cool perks offered to people who give to the campaign: Indian jewelry and photography, a painting by artist Susan Paloschi, and if you live in Canada you can attend a living room concert by singer Sarah Harmer. 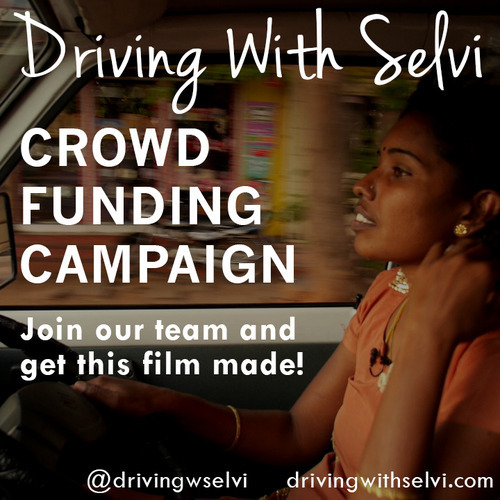 A third stretch goal of $60,000 was set with less than a week to go and offers a 10-day “Engagement and Impact campaign” where Selvi will drive a bus around India and screen the film in hopes of showing it to a million people. 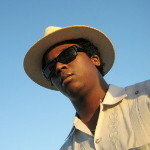 Driving with Selvi – Indiegogo Campaign Video from Eyesfull on Vimeo.